Happy Friday ya'll! This week flew by and today Andi gets her first round of shots so ya'll please pray for her (and me! I'll probably cry more!) -update- she did fabulous and only cried for 10 seconds- Also, I want to dedicate my post to her since she is TWO MONTHS OLD today! Ahhh why is time flying by so quickly? Stay little my love bug! 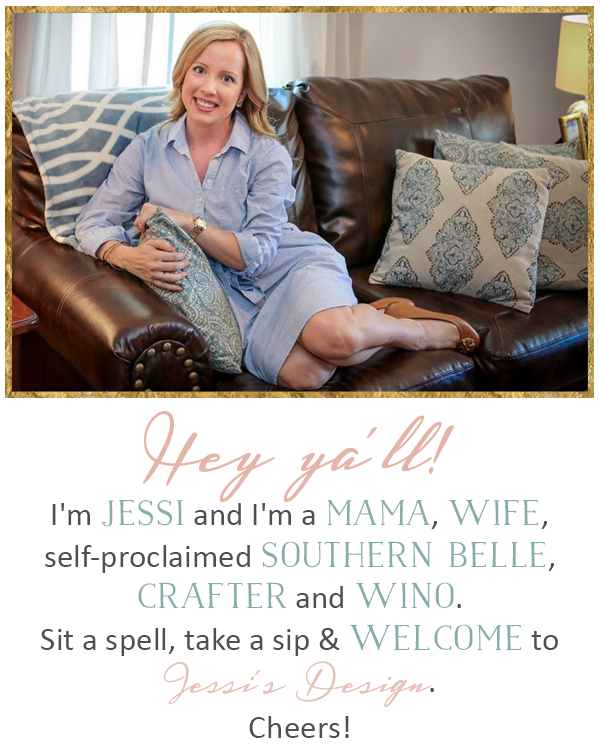 Hope ya'll have a fabulous weekend - Linking up today with April from A. Liz Adventures for Friday 5! 1. She is so strong! She's been lifting her head since week 3 and loves to look around and have tummy time. She also straightens those legs in a standing position like nobody's business! 2. She is sleeping like a charm! She typically goes down at 11 and doesn't wake again until 4-5 and then after a feedings goes back until 9 or 10 - thanks little muffin! 4. She is obsessed with ceiling fans! Could stare at them for hours. Also LOVES taking a warm bath! She is also loving reading time and staring at colorful books with Daddy in the mornings he is home. Saw this earlier in the week and this is 100% accurate to my feelings- I'm with ya little girl! Aww I love this...she is doing so much and growing every day! And into an even more adorable little girl than she was the day before! I saw that video before and it is TOO cute! Aww what a sweet baby girl! Finn too is s great sleeper (7 hour stretches! ), loves ceiling fans, & baths (or showers with me)! Oh my goodness, she is just precious!!! Way to go not crying for a long time :)!!!!! <3 you sweetie! So so sweet! I need details on how you get her to sleep so well. I think that is the thing I am most scared about when baby gets here. Sleep! Wow she's getting so big!! Love the video - that's hysterical! 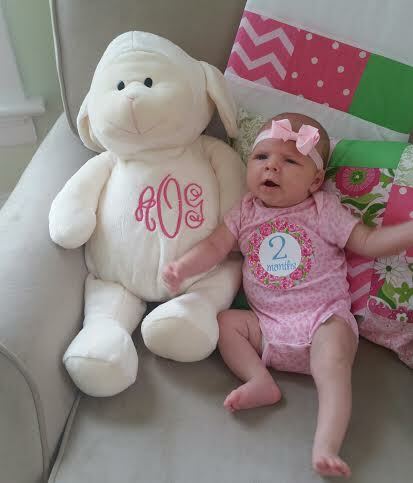 I can't believe she is two months already! I'm so happy to hear all is well, and that baby girl was a champ with her shots. Happy Friday! I promise the naps come back...and then they go again...and then they come back ;) babies, man. It's one long phase haha! Happy 2 months, Andi! Haha that's so cute that she has so many clothes :-p She is so adorable, Jessi!